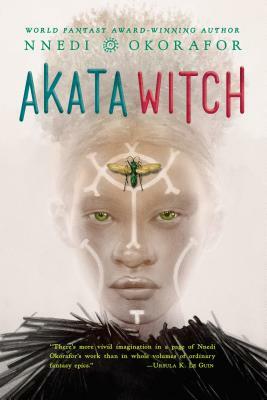 Affectionately dubbed "the Nigerian Harry Potter," Akata Witch weaves together a heart-pounding tale of magic, mystery, and finding one's place in the world. Perfect for fans of Children of Blood and Bone! Soon she's part of a quartet of magic students, studying the visible and invisible, learning to change reality. But as she’s finding her footing, Sunny and her friends are asked by the magical authorities to help track down a career criminal who knows magic, too. Will their training be enough to help them combat a threat whose powers greatly outnumber theirs? World Fantasy Award-winning author Nnedi Okorafor blends magic and adventure to create a lush world. Her writing has been called “stunning” by The New York Times and her fans include Neil Gaiman, Rick Riordan, John Green, Ursula K. Le Guin, and many more! Nnedi Okorafor (nnedi.com) is the first black woman to win the World Fantasy Award for Best Novel. She has also received Hugo and Nebula Awards. Born in the United States to two Igbo (Nigerian) immigrant parents, and raised in both countries, she holds a Ph.D in English and is a professor at SUNY Buffalo. She divides her time between Buffalo and the suburbs of Chicago, where she lives with her daughter Anyaugo (Anya). Nnedi's work has been published both in Africa and the United States, and ranges from early chapter books to adult short stories and longer fiction.